George Mortimer Pullman was an American engineer, inventor and industrialist of the 19th century, famous for the invention of Pullman Sleeping Cars for use in railways. He was born in 1831 in New York. His family lived along the Eerie Canal where Pullman went to school and got his initial training as an engineer. He dropped out of school at 14 years of age and started working as a clerk for a local merchant. In 1959, he moved to Chicago as it was a rapidly developing city full of opportunities. At that time, Chicago was covered with mud as it was a low lying city and a new sewer system was being established when Pullman moved there. This required all the houses and buildings to be moved 8 – 10 feet above ground level. Pullman was already skilled in the art of “moving houses” as this was his father’s profession in New York. He formed a small company by the name of Ely, Smith & Pullman and worked along with a few other engineers to raise the buildings of Central Chicago and constructing new foundations under them. With the money he earned, Pullman decided to invest in the development of luxury railroad cars. The first one was finished in 1864 and gained popularity after it was used to transport President Abraham Lincoln’s body from Washington DC to Springfield. There were thousands of supporters who arrived to pay their last respects and they all observed the luxury car it was placed in. He began to receive a vast number of orders for developing railroad cars even though its price was more than five times that of a regular railway carriage. Pullman’s Luxury Cars were famous for the impeccable service and royal treatment provided by the staff. He hired African American freedmen (who were previously slaves in the South) as porters for his luxury cars. These porters were trained to be valets and waiters, were paid relatively well and got to travel all over US which gained them a position of respect in the black community. In 1867, Pullman introduced a “hotel on wheels” called the President which had an attached restaurant and served top quality food. In 1868 he launched the first railway car devoted to fine cuisine. It was called the Delmonico and its menu was prepared by the renowned Delmonico restaurant in New York. 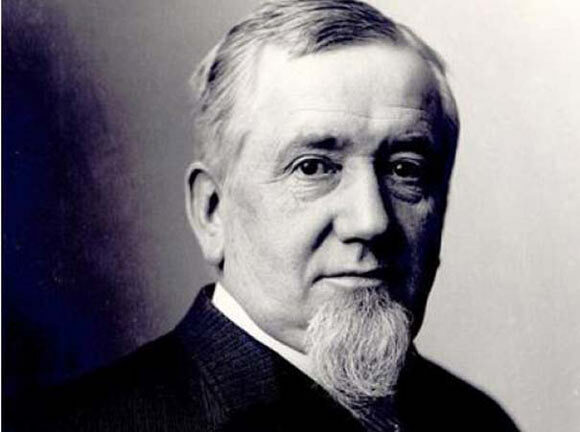 In 1880, George Pullman purchased 4000 acres of land near the south of Chicago for a price of $800,000. He converted this land into a company town next to his factory and provided his employees with facilities such as housing, shopping, churches, theaters, parks, hotels and libraries. This got him national praise and acknowledgement as this town was a violence free and healthy place to live. In 1894, due to drop in demand, Pullman cut his workers’ wages and increased their working hours (but did not lower the price of his goods) in order to earn more profits. His workers held a strike against him which eventually ended with the involvement of the Cleveland troops. However, the Supreme Court ruled against Pullman’s ownership of the company and asked him to sell his holdings to the government. Eventually, Pullman Town became a part of mainland Chicago. Three years after the strike, in 1897, Pullman died of a heart attack. His monument was designed by Solon Spencer Bemen, who was the architect who designed the company town of Pullman.